FUTURE-MAKING SERIOUS GAMES HAS MOVED! You may want to update your bookmarks! FUTURE-MAKING SERIOUS GAMES has moved to SERIOUS GAME MARKET, where all new posts reside. PLEASE VISIT OUR NEW HOME!!! 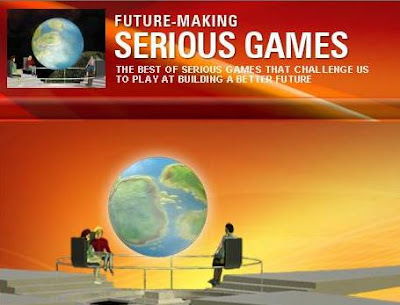 Serious Games are now successfully being developed and deployed all over the world and for a variety of applications. Corporate and Academic organizations are finding Serious Games invaluable as learning content, while NGOs and Marketing organizations find that their message is conveyed in a more productive and enjoyable way. As developers seek to find ways to make the market work for them, which implies new ways of doing business, raising capital, distributing and selling product, shaping Serious Games from an emerging into a multi-billion dollar market, the SERIOUS GAME MARKET blog will be digging up the best of Serious Game promising market.